When the film “The Jazz Singer” was released on October 6, 1927, it was the end of one era and the dawn of another. While not a “talkie” in the true sense, it sounded the death knell for the silent picture. 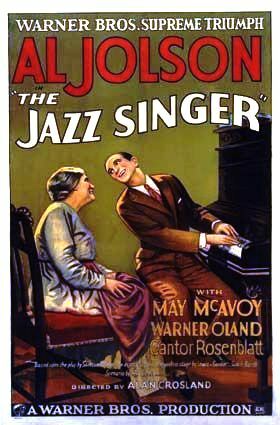 You see, despite being known as the first talking picture, “The Jazz Singer” is really nothing more than a silent movie interspersed with a few musical numbers, some improvised lines from the film’s oft’ misinterpreted star Al Jolson (see: Al Jolson: Hero or Villain? ), and a bit of scripted dialogue. But Warner Brothers Studio went ahead with “The Jazz Singer,” the story of a rebellious young man from a strict Jewish family who leaves the fold to make his name as a – you guessed it – jazz singer. At the film’s climax, our hero must choose between starring on Broadway or singing at the synagogue for his dying father. Despite being one of the most important films in Hollywood history, the movie has not aged well. Al Jolson was a megastar in his day – by that point, he had already conquered the stage, radio and recordings. Although his music was considered hip at the time, jams like “Toot Toot Tootsie” sound totally corny to modern ears, and Jolson’s over-the-top acting style is only suitable for parody. More than any of that, the black-face rendition of “Mammy” is amazingly cringe-worthy today, though Jolson’s intentions were (seemingly) good, as you’ll soon see. “Blackface,” which is captured for posterity in many films of the first half of the twentieth century, is a sad reminder to most people of the ridicule and mistreatment of African-Americans. 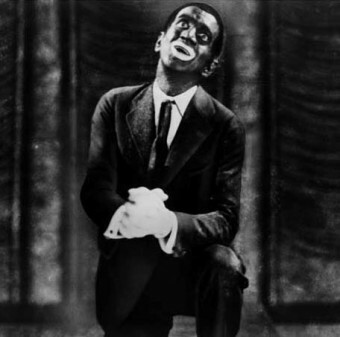 As for Jolson, he didn’t always use “blackface” in his act, but because most people today know him only by “The Jazz Singer,” his reputation is often as a symbol of a very backward time. However, Jolson was, ironically given the perception today, an early crusader for the rights of African-Americans. Beyond the controversy, “The Jazz Singer” received one of the first ever Academy Awards in 1927 for being a “pioneering talking picture.” And even though contemporary audiences loved the new technology that allowed them to hear Jolson’s voice, they were decidedly “meh” about the sappy storyline. But the sound genie was out of the bottle, and the movies would never be the same again. The first all-talking feature film, “Lights of New York” was released in July 1928, but it wasn’t until 1930 that the transition over to sound was complete across the board. The silent movie era was, for all intents and purposes, over.